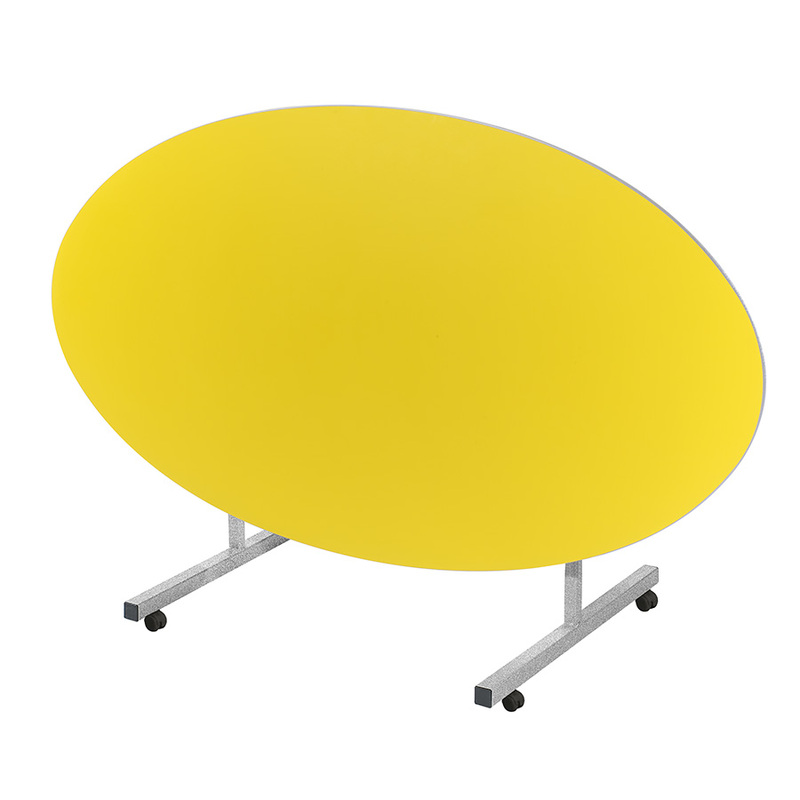 The oval tilt top school dining tables are ideal for use in primary and secondary school dining halls. It features 4 easy glide locking castor wheels which allow you to move the table into place, and lock it in to position. Constructed with a durable MDF table top which is available in 10 colours, and a tough, textured PU spray edge. The sturdy 38mm steel frame is finished in a speckled light grey paint. Ideal for schools with limited space as the tilting table top means it doesn't require much storage space and can be folded away quickly when not in use. Table top size is 1610mm x 900mm and is available in 4 heights - suitable for children aged 6 - 14+ years. Tilt top tables are also available in Circular, Octagonal and Rectangular shapes and include a 5 year warranty. View our full range of School Dining Tables.